Pesticides allow disease resistance to build up in plants, weeds, plant-eating-insects, fungi, and bacteria. Pesticides and chemicals sprayed on plants contaminate the soil, water supply, and air. Sometimes these harmful pesticides stick around for decades (maybe longer). Synthetic chemicals also discourage smart farming practices such as cover crops and crop rotation, which in turn, may cause other harmful environmental problems like erosion. To grow healthy food, you must start with healthy soil. If you treat the soil with harmful pesticides and chemicals, you may end up with soil that cannot thrive on its own. Natural cultivation practices are far better than chemical soil management. A large nine-year study by USDA Agricultural Research Service (ARS), shows that organic farming builds up organic soil matter better than conventional no-till farming. According to Dr. Elaine Ingham, just one teaspoon of compost-rich organic soil may host as many as 600 million to 1 billion helpful bacteria from 15,000 species. Ingham notes that on the flip side, one teaspoon of soil treated with chemicals may carry as few as 100 helpful bacteria. Not only does organic farming build healthy soil, but it helps combat serious soil and land issues, such as erosion. A major study comparing adjoining organic and chemically treated wheat fields showed that the organic field featured eight more inches of topsoil than the chemically treated field and also had only one-third the erosion loss. "If only 10,000 medium sized farms in the U.S. converted to organic production, they would store so much carbon in the soil that it would be equivalent to taking 1,174,400 cars off the road, or reducing car miles driven by 14.62 billion miles. Insects, birds, fish and all sorts of other critters experience problems when humans swoop in and destroy their natural habitat. Organic farming not only helps preserve more natural habitat areas but also encourages birds and other natural predators to live happily on farmland, which assists in natural pest control. In general, the more biodiversity there is on a farm, the more stable the farm is. 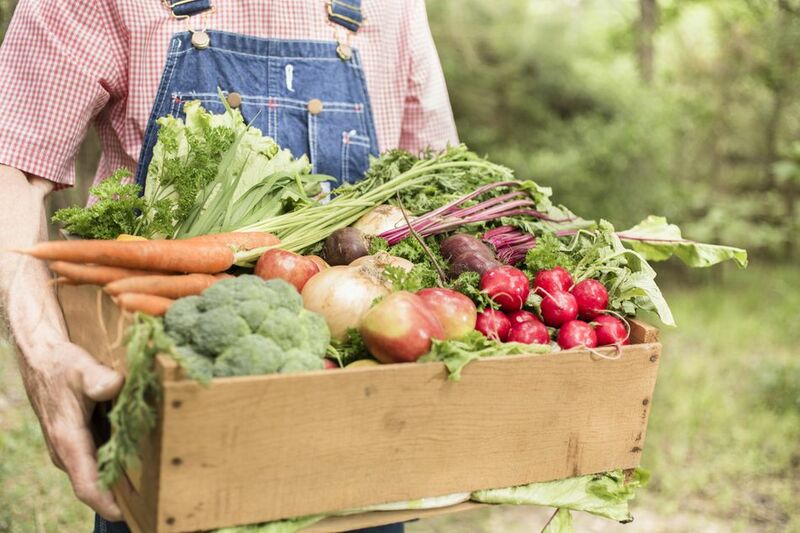 Organic farming encourages healthy biodiversity, which plays a critical role in how resilient, or not, a farm is to issues like bad weather, disease, and pests. Additionally, reduced biodiversity may directly correlate with a rise in infectious diseases, which of course, isn't good for people or the planet.